While there are many benefits to all different types of home additions,	many homeowners like yourself are drawn to a new sunroom because it can	add natural light into your home. This is especially wonderful if you	are conscious of the environment and would like to save on your electricity bills. 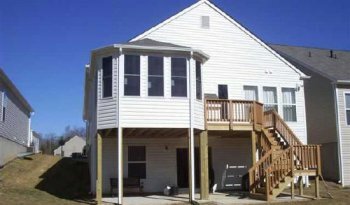 At	Prestige Deck & Fence, we offer Fredericksburg custom deck designs and sunrooms to entertain	your guests or enjoy peace and privacy in a new and comfortable space. When you are considering adding a custom sunroom to your home, our team	here at Prestige Deck & Fence can help you. We would be happy to answer	your questions and provide you with more detailed information. If you	are interested in receiving a free estimate, let us know when you	call us at (540) 371-0123!